← The St. Louis Cardinals Are The 2011 MLB World Series Champions! We are only at the midpoint of the 2011 NFL Season, but let’s look at who I believe is at the forefront of the Award Races for the year, as well as some original awards given out by yours truly. 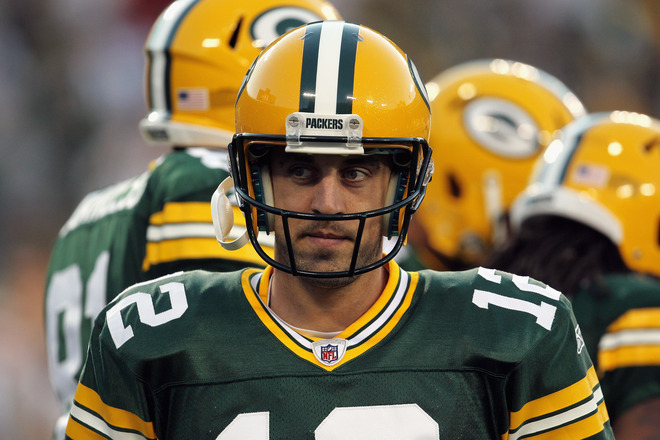 The Green Bay Packers are the only undefeated team left in the NFL, and Aaron Rodgers is the main reason for their success. Rodgers will not blend in with the rest of the pack anymore, as he has elevated his game to the point where he is considered the best QB in the game today. That is quite the praise for a QB in a league with Tom Brady and Drew Brees. Aaron has the highest QB rating in the NFL at 125.7, which if the season ended today, would be the highest rating in NFL history. The reigning Super Bowl MVP should run away with this award. 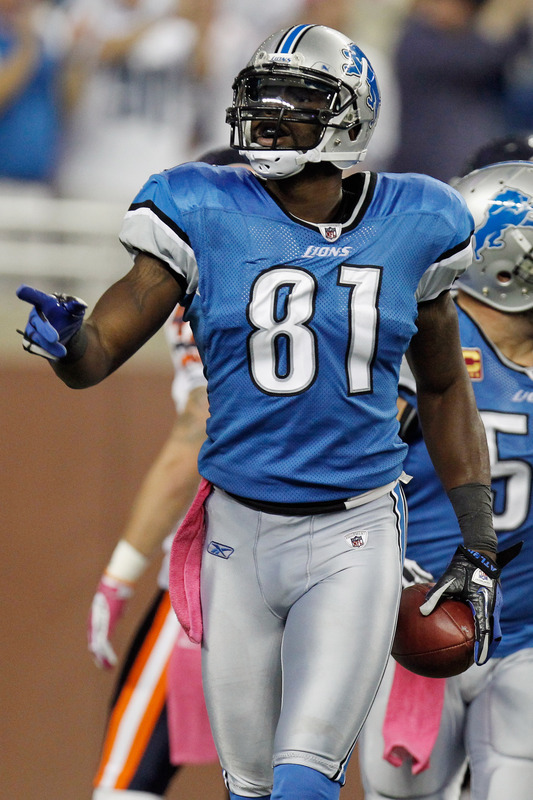 Megatron….Dominate! Calvin Johnson became the first WR in NFL history to record 2 touchdowns in each of his first 4 games. He is currently on pace to tie Randy Moss’ record for touchdowns by a WR in a season with 23. Even having 3 defenders covering hasn’t stopped him from grabbing touchdowns. He may be the number 1 reason for the Detroit Lions early season success so far. I may have given this award to Aaron Rodgers, but the MVP and OPOY are usually different selections. 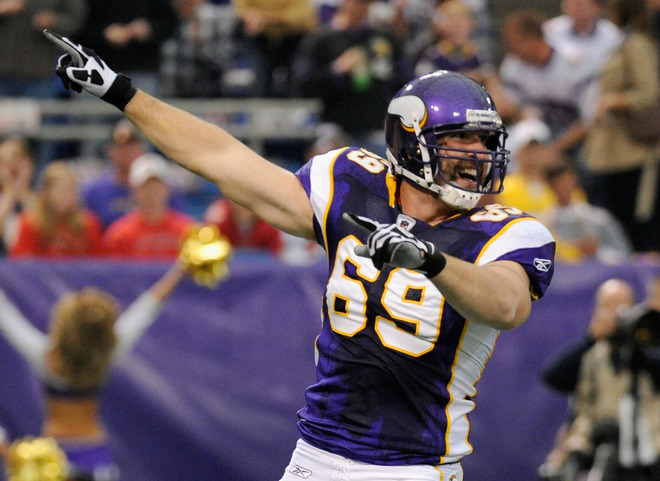 Jared Allen is currently the league leader in sacks and tied for the league lead in fumbles forced. He already has more sacks then he did all last season. The Vikings Defense may not be as feared as a unit as it has been in years past, but the one constant on the defensive line who can still dominate a game on his own is Jared Allen. He has literally become the entire Carolina Panthers offense, and has made the team relevant again in the National Football League. He has set record after record for rookie Quarterbacks and QB’s in general, including being the fastest player to throw for 1000 yards, as well as being the first rookie QB in history to throw for 400 yards in his first 2 games. If this award was given to the rookie that has helped their team win more games, then Bengals QB Andy Dalton would probably get my vote here. 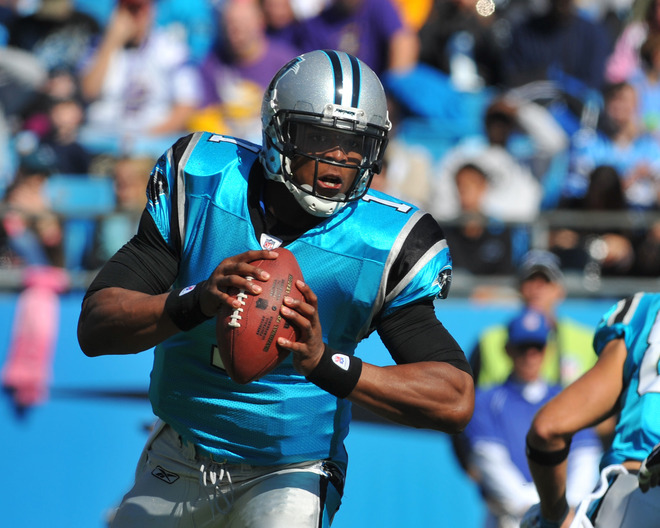 But you can’t deny that Cam Newton has put up amazing and historic offensive numbers up to this point. 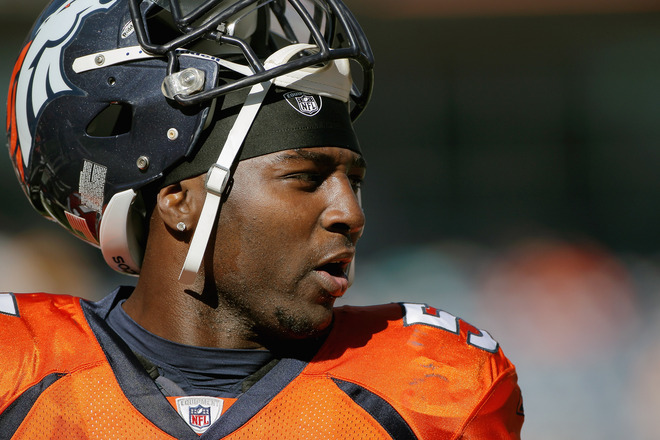 On a Broncos defense that has been embarrassed all season long, Miller may be the lone bright spot and the small glimmer of hope the fans can look for on the defensive side. He currently ranks 5th in rookie tackles, 2nd in sacks and 1st in forced fumbles after being picked 2nd overall in this past years draft. Alex Smith may not be lighting the NFL on fire with huge numbers, but he has steadily become one of the more efficient Quarterbacks in the league. 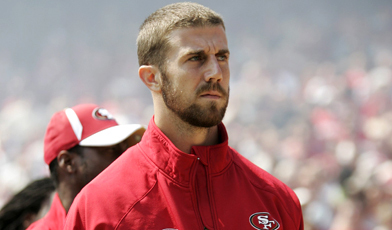 He has helped the 49ers garner a 6-1 record to this point, which matches their win total from all of last year. Smith has had criticism in the past for his sloppy play and lack of leadership ability, but this year he has come into his own, gaining the trust of his teammates and the city that once wanted nothing to do with him. 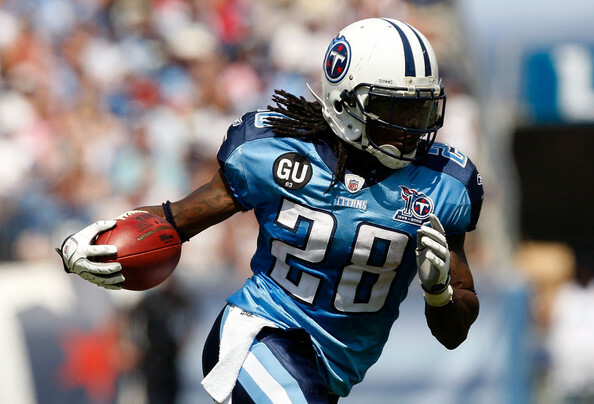 Despite the relative early season success of the Titans, none of the credit should really be going to their once star Running Back Chris Johnson. Chris has been a huge letdown this year, having his rushing yards per game cut in half, averaging less than 3 yards a carry and scoring 1 measly Touchdown, in comparison to the 11 he had last season. Rumor has it that his carries may be cut down and split with backup Javon Ringer. Fantasy owners who took CJ2K in the first round must be drowning in their sorrows. The Buffalo Bills have gone from Zero to Hero, sitting at the top of a division at which they have been looking up from the bottom for many seasons. Being first in a division with the New England Patriots (Whom they have defeated this year) and the New York Jets is no easy task, but the Bills have found a way to harness all of their young talent and create a winning environment for the franchise. With QB Ryan Fitzpatrick at the controls, emerging star RB Fred Jackson in the backfield (103 rushing yards a game, 2nd in NFL), and a young up and coming defense, led by SS George Wilson, the Buffalo Bills are no early season fluke, and should continue to be the surprise of the NFL until their inevitable playoff berth this season. 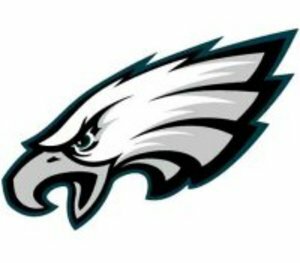 Yes, I fully realize that the Eagles have won 2 straight, but they were against 2 teams in worse shape then they were at the time (Dallas, Washington). The Eagles season so far has been very hum-drum, considering the amount of hype behind them entering the year. Despite the EXTREME amount of talent that this team acquired over the off-season and the immense talent pool it possessed before that, you would expect much better results to this point. The Eagles may be starting to get things together, but no one can argue that they had one of the more under-achieving first 8 in the NFL. I have to say that I can agree with pretty much all these choices. I didn’t notice that Allen was playing that well, though, because the Vikings aren’t playing well other than him and Peterson. But definitely a good list. I agree that the Detroit Lions can be considered the “Most Surprising Team” in the NFL so far. The thing is that I am not nearly as surprised about the success of the Lions as I am for the Buffalo Bills. The Lions were everyone’s sneaky pick to get into the Playoffs this season, after finally accumulating enough good, young talent to put a great team on the field. I am not surprised that a team that has a healthy Matthew Stafford, the best WR in the league with Calvin Johnson, and possibly the most feared Lineman in the NFL with Ndamukong Suh, is winning games. This compared to a team that has been at the cellar of the AFC East for years, and has a ceiling of third place in the division behind the Jets and Patriots. Fitzpatrick, Fred Jackson, and that defense have stepped their games up tremendously, especially since the team didn’t make many offseason moves. They are more of a surprise than Detroit. Detroit was supposed to be good this year. Buffalo is good, and is shocking the NFL world every week with what they can do on offense and defense.